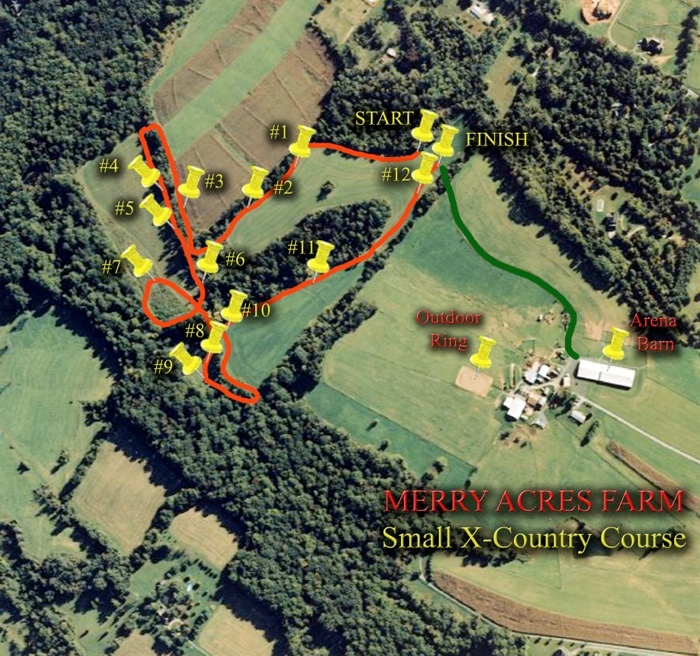 Below is a map of the small X-COUNTRY COURSE at Merry Acres Farm. Jumps on this course are 18" to 24". Below is a map of the large X-COUNTRY COURSE at Merry Acres Farm. 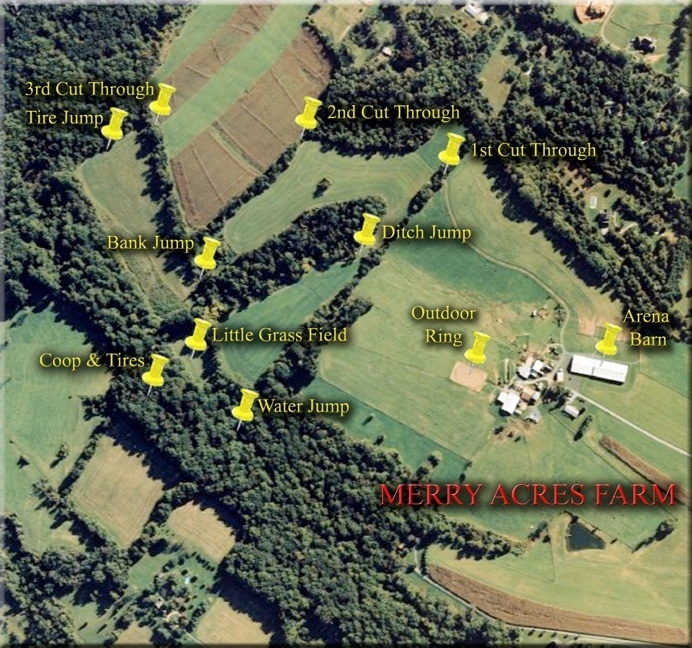 Jumps on this course are 24" to 30"
Copyright 2017 Merry Acres Farm. All Rights Reserved.